Are you interested in taking up golf but don’t know where to start? 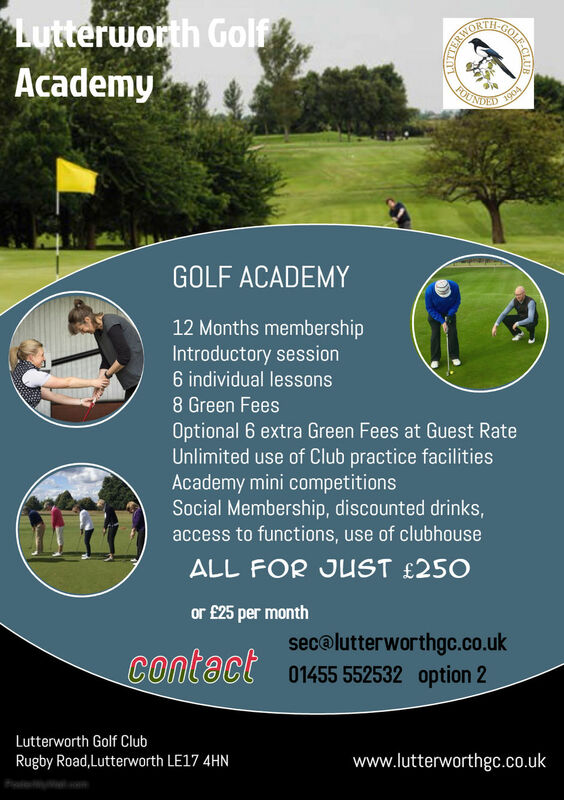 Lutterworth Golf Club academy is designed for you. It provides a structured programme of tuition and guided access to our practice facilities and golf course. At the end of the course you can decide whether golf is for you and there are membership categories which ease you into golf without having to be a full member.